There are an overwhelming amount of university options open to international students in the UK; the Study Group University Fair for International Students is the place to make sense of them. Most people will tell you that, when learning a language, it always helps to have a goal in mind. Whether seeking personal advancement, improved career prospects, or in the pursuit of academic greatness, keeping your eyes on the prize maintains focus and can help you get there much sooner. The UK has a thriving community of English language schools, attended each year by tens of thousands of students from all over the world. For many, it’s the first step in an exciting journey towards their dream of securing a place to study for a world-class degree at a leading UK university. Studying for a degree abroad alongside a wide array of students from many different backgrounds can be transformative, both personally and in terms of language development – students may pick up more than just English in classes with British, South America and Asian students. Having mastered English at language school, higher education (HE) at university is the place to push understanding and ability to the limit. However, to get to university, a pathway programme is often required to secure the correct academic and English language qualifications. But this is where things can get overwhelming for many international students, with IELTS and academic requirements to consider as well as student visas and UCAS applications. 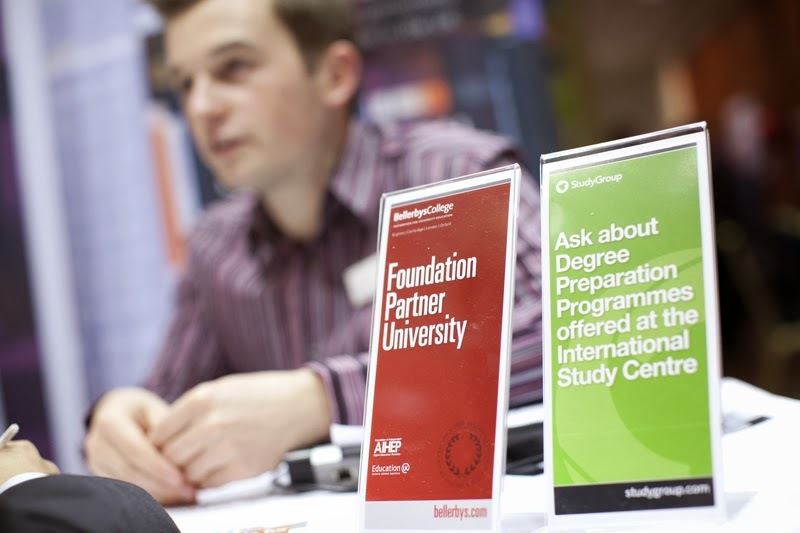 Here at Study Group, we have been preparing international students to study at UK universities for many decades, either in partnership with leading universities such as the University of Lincoln, the University of Sussex and the University of Leicester; or at our Bellerbys Colleges in Oxford, Cambridge, Brighton or London. Having seen firsthand how the wealth of HE options open to students can make a tough decision even harder to reach, we’ve organised a fair in London that has all the relevant information in one place – IELTs and UCAS (Universities & Colleges Admissions Service) experts, representatives from more than 75 universities as well as advisors on hand to discuss things like visa issues. 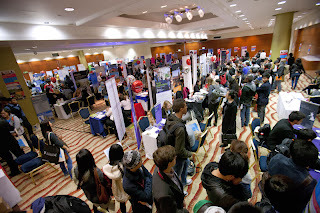 The Study Group University Fair for International Students takes place at the Park Plaza Victoria Hotel, Central London, Saturday 8th February 2014. Entry and registration is free. 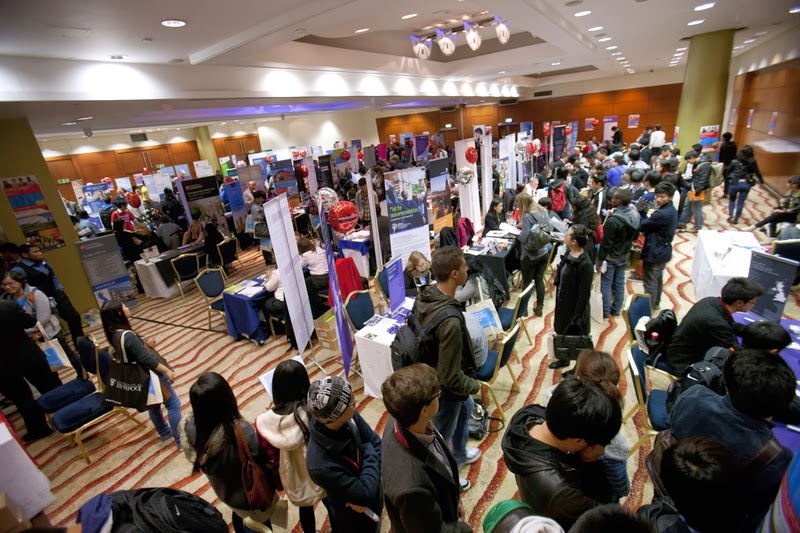 There will be seminars at the fair dealing with applying and studying at a UK university, adapting to UK culture, work placements and employability issues, advice on how to secure your university place, as well as insights into some of the highest-ranking UK institutions. Information about specific degree courses will be readily available, and experts will be available to talk you through options and show you which pathway to university entry would work best based on your individual requirements. Friendly student enrolment advisers will even be issuing on-the-spot offers for Study Group preparation courses to students who meet the entry requirements (click here for details). For many students at the UK’s English language schools, a degree from a UK university is their ultimate goal, but their time at university is also a wonderful opportunity to build their language skills. Therefore, I would absolutely encourage them to come and visit us in London in February. Jennifer Lee is project co-ordinator at Study Group, and is responsible for the Study Group University Fair for International Students. Keep up to date with the show on Facebook or by following @StudyGroupFair on Twitter.